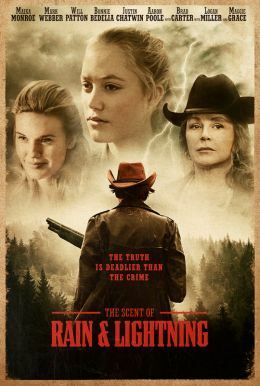 Based on the bestselling novel, THE SCENT OF RAIN & LIGHTNING tells the story of Jody Linder (Maika Monroe), a Midwestern twenty-something whose past resurfaces when the man convicted of killing her parents has his sentence pardoned. Jody begins to question the facts behind her parents’ deaths and gradually faces the possibility that the wrong man was convicted of the crime. The further Jody delves into the past, the more and more startling truths begin to emerge about her family’s tragic past, and Jody must put the pieces together to reveal the truth.